lthough his name has faded from the history books, Charles R. Flint did more to shape the modern world than many of his better-remembered contemporaries. He was a brilliant and energetic New York dealmaker who practically invented the trust, merging small companies into larger, healthier, and more profitable conglomerates such as the Computing-Tabulating-Recording Company – later IBM. He also assisted promising new ventures such as chewing gum and the airplane. The following was excerpted from his memoirs, Memories of an Active Life. It is a rambling recollection of his dealings with Wilbur and Orville Wright, among others. The aeroplane was the creation of Wilbur and Orville Wright who, in 1905, were the first to climb into the skies in a "heavier than air" machine. The Europeans had talked about what they were doing, and world-wide publications announced what they expected to do. In 1908 a banquet was given in Paris to celebrate the success of the Wrights who by that time had excited considerable jealousy. A speaker, following Wilbur Wright, known as the man of silence, who had regretted that he was not an after-dinner orator, remarked that "among the feathered tribe the best talker and the worst flyer is the parrot." In the case of claims for discoveries or inventions, serious questions generally arise as to rights of priority. For this reason the courts usually refuse to grant injunctions until patents are adjudicated valid, but in this case the Wrights were flying while the rest of the would-be "heavier than air" machine navigators were trying to get off the ground; so the court naturally made an exception and granted the Wrights an injunction before adjudication. The Wrights were men of high principles and they were public spirited. When a partner of P. T. Barnum and I elaborated a plan to make a profit of several hundred thousand dollars by charging admission to see the Wright's wonder of the air and age, they refused the profit and the public were admitted free. England was the first to seek information about the Wright aeroplane, and as early as 1904 Colonel Capper, head of the Royal Aircraft Factory, visited Dayton; but the Wrights were patriotic, and before they would sell the aeroplane to any other nation they wrote to Washington offering to turn it over to our government. The reply which they received was a "snippy" one, and quite in line with the policy which caused Hotchkiss to go to Paris to exploit his machine gun. and which resulted in our failure to adopt, adapt. exploit, and control the American submarine inventions of Bushnell, Holland, and Lake. It is a lamentable fact that most of our soldiers killed in Europe during the World War were killed by American inventions. I first took an intense interest in the Wright aeroplane when our Mr. Ulysses D. Eddy visited them on Thanksgiving Day, 1906, at their home in Dayton. After the United States Government failed to take advantage of the Wright discovery, they asked me to offer their aeroplane to England. 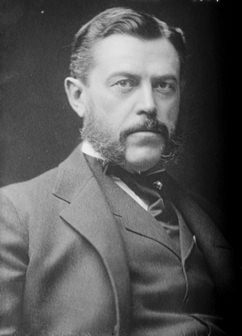 In a speech made in London, Cobb once said "Blood is thicker than water," but owing to a patronizing speech made by the speaker who preceded him, he added. "Thank God for the 3,000 miles of water" and abandoned the speech he had prepared. "You will be amused that I have been interviewed by order of the Post Office officially to find out whose code I am using, what the meaning of certain words is, and in fact to give the show away. The official sent left me much discomforted by the impracticability of my replies and fully persuaded of the truth of the Scotch saying, 'Ye can sit on a rose, ye can sit on a shamrock, but ye canna sit on a thistle!' "
The Germans were quicker than any others to recognize the great possibilities of the Wright aeroplane. It was exhibited by Orville Wright in a park at Berlin where there were thousands of people to witness the flight. When the aeroplane was taken across the field there walked in line behind it the Chief of Staff General Count Moltke, Orville and Miss Wright, Mrs. Flint, and myself. After the Berlin flight, the newspapers stated that the Emperor had extended his hand to Orville Wright and congratulated him on his achievement. It was said that the Emperor's words were: "Mr. Wright, you have revolutionized modern warfare." I question whether this statement would have been made by the Emperor under conditions where it could have been taken seriously. Such a remark might have been made to disarm suspicion regarding Germany's big aeroplane preparations. In fact the Germans were generally very diplomatic in regard to war preparations. They gave out sufficient information to maintain their prestige in affairs of war in order that German officers might be the military instructors of the world—even the Colombian soldiers at Bogota were taught the goose-step march; and in order to maintain their huge munition plants they encouraged orders from foreign nations. I was impressed by their prestige when Major H. R. Lemly, acting with my firm, went to China and other countries to sell woven military equipment. The fact that the United States had used it exclusively for five years had little influence; but when it was stated that the German government was considering its adoption, government officials became intensely interested. Not long after the exhibition of the Wright aeroplane, the Emperor invited to a dinner twenty prominent men, the majority of whom were interested in the German dirigible enterprise, and told them that something ought to be done in Germany to develop the aeroplane. After coffee His Majesty retired, saying the German equivalent of "It's up to you." The imperial guests went down into their pockets, including Isador Loewe who contributed $40,000, and Rathenau who contributed a smaller sum. In 1908 we sold the Wright invention to a German company, and in 1909 the Emperor visited the Wright aeroplane factory in Berlin and inspected the machines. Some years earlier, the Krupps had opened negotiations with us for the Lake submarine inventions. As an evidence of German prestige in affairs of war, Florio of Naples, hearing of our negotiations, paid our agent $40,000 in order to secure for Italy a six-month's option on what we were selling to the Krupps. But after the Germans had thoroughly satisfied their thirst for knowledge regarding Lake's inventions, by a careful examination of our plans and specifications, they omitted the formality of signing on the dotted line. Florio, inferring from this that the inventions were of no value, bid good-bye to his $40,000. We offered the Wright aeroplane to every minister of war in the world, and wondered why our offers were unanimously treated with indifference. The explanation was simply that the Germans did not openly favor extensive use of the aeroplane for military purposes. Their apparent indifference to aerial weapons represented only one phase of a well calculated plan. The Germans were perfectly willing to furnish the world with ordinary munitions; but they regarded such munitions as of secondary importance in comparison with their super-war armaments, super-aeroplanes, super-submarines, super-cannon—the cannon which destroyed the Liege forts—the cannon that fired on Paris at a distance of seventy miles. They realized that world preparedness was inevitable, but they were confident that the preparedness of other nations must prove inferior to theirs. While they amiably forged thunderbolts for foreign purchasers, they secretly did some super-forging on their own account. When I visited Essen, four years before the World War, I was cordially received. I was shown hospitals and the comfortable homes of their laborers. I was given a seat at the head of a bountiful board where I tasted many kinds of their vintage wines, and was escorted by one of Krupp's directors to Dusseldorf; but this truly Teutonic hospitality hung like a thick curtain between me and the war preparations that I would have liked to see. At the Koerting factory in Hanover I observed that the most advanced submarine and torpedo boat engines were hoarded up so they could not be examined. In France we formed a company for the exploitation of the Wright inventions. Wilbur Wright sailed for France in May, 1908, and his first flight was made at Le Mains on August 8th, of the same year. The French did not make much progress in their experimenting with heavier than air machines until after the Wright flights at Le Mains, when they built aeroplanes based on Wright inventions, which they called "Wright machines." Contrary to general opinion, theirs was not an independent parallel development. Rear Admiral Bronson. Mrs. Flint and I witnessed the Orville Wright-Self ridge flight at Fort Myer, and saw the aeroplane fall. I rushed to the plane with Mr. Charles-White of Baltimore who was noted for his powers of observation. ''Lieutenant Self ridge." he said, "will probably die— he does not move his fingers—but Orville does, and will probably survive." Selfridge died that evening, the first man to be killed in a power airship. Mrs. Flint then and there made me promise never to go up in an aeroplane, and I have been as faithful as Irvin Cobb was when leaving the German army for tide water. The colonel made him give his word of honor not to leave the squad. Cobb knew enough German to understand the colonel's order to the captain: "If that man Cobb starts to leave the squad, shoot him at once!" Cobb told me later; "I never kept my word of honor so easily." In declining requests to go up, I often referred to a precedent established by the King of Spain. When we invited His Majesty to ascend at Pau, he replied, "I have promised the Queen not to go." Bryce Northcliffe requested me to ask in his presence whether the Wrights were being taken care of by the business men of Dayton who were morally indebted to them as the founders of their aeroplane prosperity, as he desired that a financial understanding in the Wrights' favor should be made clear in his presence. When on the train homeward bound, I invited Lord Northcliffe to dine at the Dower House, formerly occupied by the Lords Baltimore, to meet Justice McReynolds of the United Slates Supreme Court, Patrick Francis Murphy, Irvin S. Cobb, Major A. E. W. Mason, Robert H. Davis, and Captain, now Rear Admiral, Sir Guy Gaunt. Northcliffe's adaptability was shown by his reply: "I must leave immediately for London, but give me a rain check." Whether that was American slang or whether he had in mind a "wet party" I know not; but the Dower House was just beyond the prohibition boundary of the District of Columbia. I had and have most pleasant relations with the Wrights. Mrs. Flint and I were of some service when Orville was injured in the fatal flight with Selfridge; but the Wrights and I did not always agree. 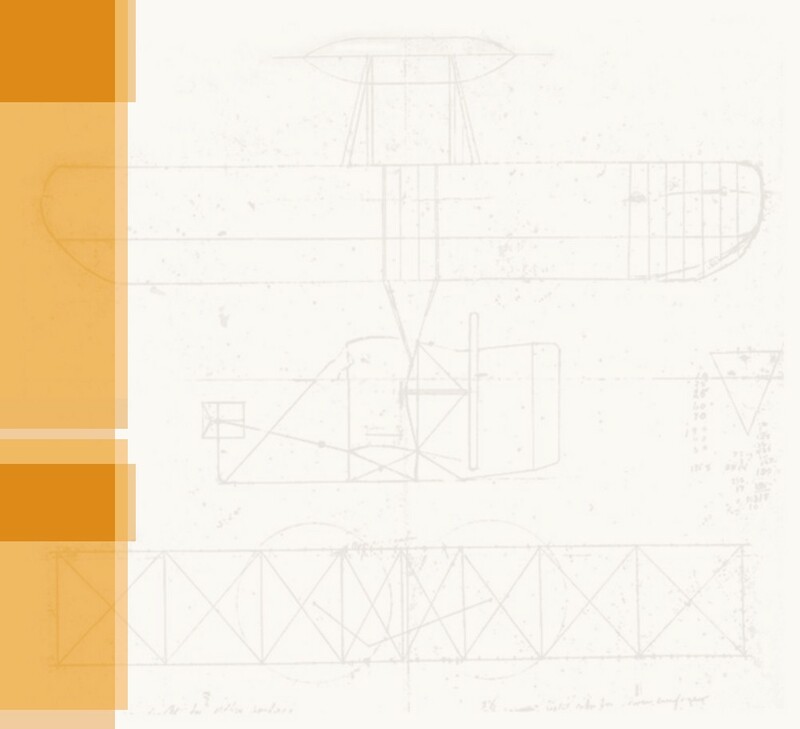 Our discussions were always frank and both parties evinced a desire to arrive at wise conclusions, but the Wright brothers retained the power to decide on business policies. I told them that my experience had satisfied me that patents in themselves as a rule could not be relied upon; that there was not one patent in ten thousand which proved to be a basic or master patent; that success in the exploitation of inventions depended principally on preempting and extending the commercial field; that patent litigation was expensive, in the end generally unsatisfactory, and that it was not popular, as aggressive patent litigation interfered with the natural evolution of the art. The Wrights were not lucky accidental discoverers: they were patient, intelligent, industrious investigators. At the outset they made use of existing scientific data but after their Kitty Hawk and Dayton experiments they decided that they would have to rely on their own investigations. They did not attempt to keep their work secret and sent their tables to Chanute, desiring to assist other investigators. But if our government had had the wisdom to secure the Wright aeroplane, Wright secrets would then have become state secrets. The Wrights realized substantial sums from their inventions, but these were insignificant when compared with their scientific and practical accomplishment.